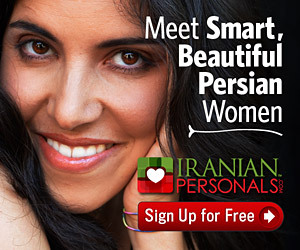 News from and about Iran seldom makes me smile anymore. It’s just not funny. At all. I still look at the news and dive into many articles and news pieces about Iran, but usually to depressing effect. A piece of news actually made me smile today, albeit with dark humor. After a whole year of planning, careful preparation, recruitment, training, and program taping procured with a $23 million budget, amid much hoopla and jubilation, BBC Farsi Television started its work last week. Their aim has been to reach 100 million Farsi speaking people in the world, adding to BBC’s already extensive network of programming in different languages. I suppose champagne bottles were opened at and around BBC offices in London, and media well-wishers gathered to congratulate the rollout of the new station. Everything was coming along nicely until a small glitch happened yesterday. Well, you see, 70 million of those 100 million people live inside Iran, under the rule of one Islamic Republic of Iran. To have any meaningful programming for them, BBC Persian would sort of need to have reporters and technical staff present in, well, Iran. This is where BBC Persian’s troubles are starting. Iranian Culture Minister Mohammad Hossein Saffar Harandi announced yesterday that “the Farsi-language BBC channel is banned from ‘presence and making field reports in Iran’ and warned local journalists against cooperating with it.” Oops! That can’t sound good to BBC people! His reasoning for this decision was that “this Persian channel is not planned with good intentions and they reflect the same issues differently in Persian and English services.” Well, it wouldn’t be really strange for BBC to broadcast news in English in one way and the same news differently in Farsi, would it?!! What does Mr. Saffar Harandi think? That IRIB is the only broadcasting agency that broadcasts some news for internal consumption and some for external?! The real killer for the BBC folks is this morsel of wisdom from the keeper of culture and guidance in Iran: “BBC English channel will be confronted if it abuses its legal rights by producing reports for BBC Persian…” and lest anybody forgets just how intimidating this ex-military/Ministry of Information top guy really is, he went on to say: “and we are continually on watch for that.” Get it?! These guys mean business! I mean, who do the BBC think they are, making all these plans without first making sure that they can station a team of journalists to feed information to them, seeking appropriate permissions from IRIB authorities? And who do they think they’re dealing with here? This is the by-now-very-improved-Islamic Republic of Iran! The same folks who some say came to and stayed in power through the help of no other than the BBC radio! They should know the power of this particular medium! Mr. Saffar Harandi is no fool and seems to remember things really well, too. He said: “BBC and Britain have a clear record of inciting unrest and provoking different groups against each other in countries.” Now do you believe me when I say they are a lot smarter than they look (and often act)? So, there you have it folks, the long established Tehran Bureau of the BBC has been told to keep away from aiding and abetting BBC Persian Television to produce programming in and about Iran, or else! Well, we all know that it is perfectly possible for television stations that have no representation in Iran to do their work and get their programs produced. From the klunky, dar-e-peetee Los Angeles satellite stations to Voice of America Television, hundreds of programs are produced and aimed daily at the aforementioned 70 million people inside Iran (I guess that also includes babies and children, but the programming is usually so infantile, even those little guys will be able to be its target market). BBC Persian Television will just have to do it like everybody else to ensure the safe continued reporting of other BBC staff in Iran. I am amused, because Iranians have known about censorship and limitations on reporting and freedom of the press very well for ever and most particularly over the past 30 years. It was about time the British got a taste of IRI’s brand of “culture” and “guidance.” This was an amusing news day for me!